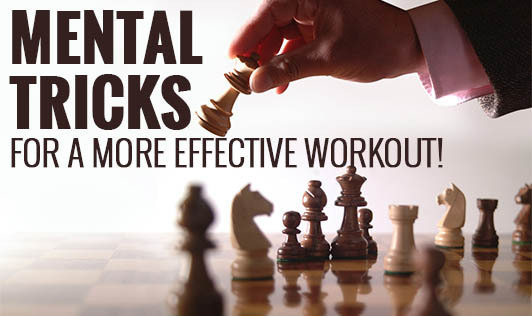 Mental tricks for a more effective workout! When it comes to exercise, we all have our own way of doing it. Some of us like to run, attend a yoga class while a few of us are more bothered about wearing the latest workout attire, which may not be as important for others. All we really need is to workout mindfully. We might spend months researching about the latest exercise program or sneakers, but if we don't train our mind rightly, our exercise can never reach its full potential. • Understand your motivation - What do you really want to get out from this workout? Once you have clarity, you're much more likely to achieve your goals. • Set realistic achievable goals - This will help you identify small steps to achieving your goals. • Think less and do more- Use mindfulness to maintain focus on the present moment. Let go of your fleeting thoughts and enjoy a more focussed workout. • Be flexible - When you miss a session, accept it and get going again the very next day. • Congratulate yourself - Feel good about completing your workout as it will clear your mind and you will feel more content and more likely to continue working out regularly.